The problem with President Obama’s statement is that it is NOT TRUE. He oversaw Chrysler and GM into bankruptcy. Chrysler filed chapter 11 bankruptcy on April 30, 2009 and GM filed chapter 11 bankruptcy on June 1, 2009. President Obama’s “Auto Team” handled (but, caused great damage) these bankruptcies. Click here for that story. For those of you unfamiliar with auto industry jargon, the name “Detroit” refers to the three Detroit, Michigan (or nearby suburbs) based automakers; Chrysler, Ford and General Motors (GM.) In this case, the President is only referring to Chrysler and General Motors. At times in this video he uses the phrase, “The Auto Industry” too broadly. Going beyond the size and scope of Chrysler and GM. There are other inaccuracies and omissions in this video that need clarification like; the size and scope of the auto industry, correct interpretation of current auto sales, claims of saving one million jobs, the impact of higher fuel standards and dealership terminations. But, those clarifications are for another time. An error like this from President Obama on White House video is striking. Because it is on a produced and scripted White House video, it shows me that the President doesn’t have the critical business knowledge needed for the job. I can’t believe Obama is in a commercial for the American Auto industry. 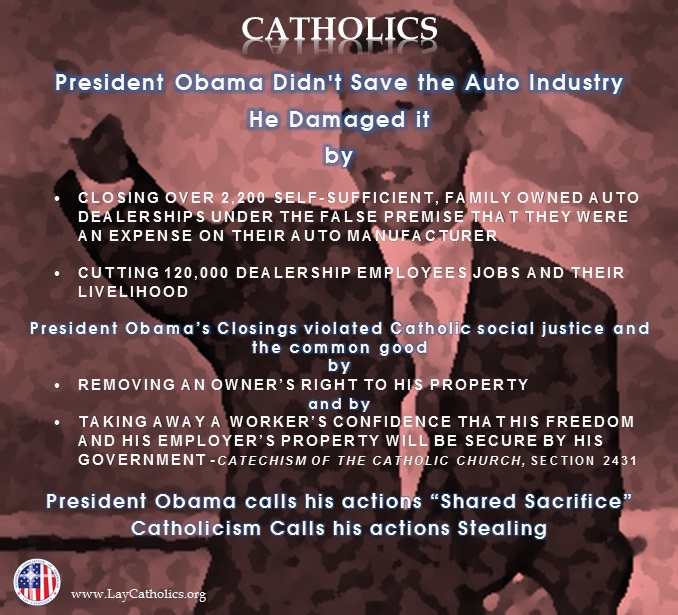 This speech was all about Obama’s government ownership of the Auto industry. Our government is not suppose to invest in any company. It invests in research in our Universities. This video shows us how Obama hates our way of governing. God please give the voters in this Presidential election the courage to change out Presidents. Mitt Romney has the moral and business know how to turn us back on the path of freedom and prosperity. Our religious freedoms are under attack from Obama and his Muslim Brotherhood. I know that you, God will never let the righteous be defeated by the evil.